South Beach, Miami, Florida, United States: Miami – The beach party capital of United States, is regarded as one of the best party destinations in the nations. Also referred to as the SoBe, this place is known for its exquisite architecture, stunning music, amazing parties and of course, hot men and women. This place deserves a place on every single person’s list of must-visit places. Las Vegas, United States: If Miami is the beach party capital of the USA, then Las Vegas is known as the party capital of the world. How could we miss this on our list of the best party destinations, after all? Beach parties organized here offer everything that a single man or woman could ever desire – unlimited liquor, lively music and eye candies, lots of it. Haad Rin Beach, Koh Phangan, Thailand: In case your budget isn’t permitting you to visit the United States, Thailand could be a great option nonetheless. The crescent-shaped Haad Rin Beach hosts some of the most extravagant and wild parties every month on the full moon night. If you are looking to interact with a global audience, this place is worth a visit. Nissi Beach, Ayia Napa, Cyprus: Clean, blue waters, amazing party music and the friendliest party-goers on the planet – these are a few things that this beach would offer to you. 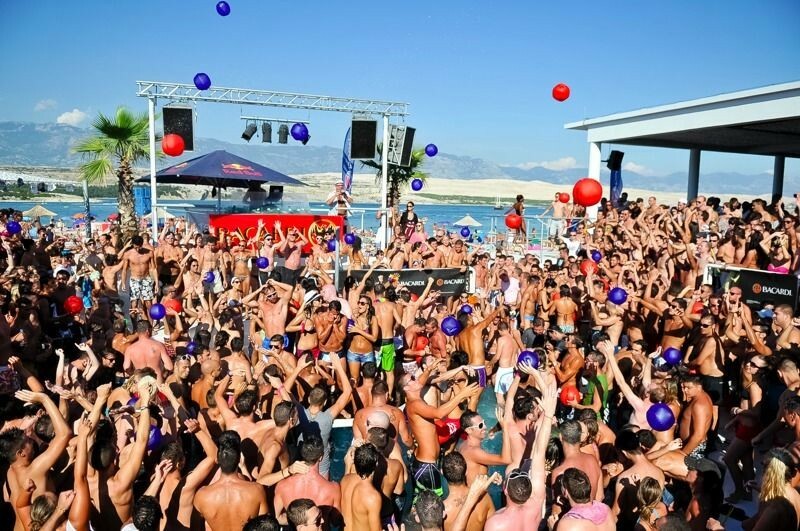 Indeed, the Nissi beach is one of the most underrated beach party destinations in the world. Zrce Beach, Novalja, Croatia: This beautiful pebbled beach that even attracts celebs from the United States and across the globe is climbing up the ladder to become one of the best beach party destinations in the world. Hot young girls and handsome men often visit this beach in search of a partner. Looking to try something out-of-the-box? Are you tired of visiting the same old clubs in your city? It’s time to pack your bags and head to one of the aforementioned destinations.